Students from University College Jersey (a part of Highlands College) will be celebrating in style this week as they come together for the 2018 graduation ceremony. The event, which is kindly sponsored by MasonBreese, will be hosted by Highlands College Principal, Steve Lewis in the company of His Excellency, Air Chief Marshal Sir Stephen Dalton and Lady Dalton, UCJ’s Head of Higher Education, Ben Bennett, representatives from our partner universities Plymouth, London South Bank and Sussex, parents, staff, the governing body, notable alumni and distinguished guests. The commencement address will be delivered by Dr Tessa Hartmann CBE. The celebrations for this prestigious event will consist of a formal ceremony at St Helier Methodist Centre from 4:00pm to 5:30pm, followed by a parade, led by the Jersey Scout Band, through the streets of St Helier finishing at the Royal Yacht Hotel for reception at 6:00pm. University College Jersey has gone from strength to strength since its inception and for the second time will see its students’ success celebrated in such a public way. 35% of the 2018 higher education students have achieved a first-class degree. BA (Hons) Business & Management, BA (Hons) Childhood Studies, BA (Hons) Financial Services, BSc (Hons) Social Sciences, Foundation Degree (FdA) in Business & Management, Foundation Degree (FdA) Childhood Studies, Foundation Degree (FdA) in Financial Services, Foundation Degree (FdSc) Information Technology for Business, Foundation Degree (FdA) Art & Design, Certificate in Foundation Studies in Art & Design, MSc in Human Resource Management and HNC Diploma in Construction. UCJ is the leading provider of Higher Education in Jersey. Each year over 200 full and part time students choose to further their studies with UCJ. These students benefit from small class sizes, inspiring teachers, work-based learning and the highest standards of pastoral care. UCJ has strong partnerships with two of the UK’s leading universities, Plymouth University and London South Bank University. It also partners with over 100 professional employer organisations who provide extensive work placements for our students and contribute to the design of new programmes. 2018 saw the launch of an exciting new Higher Apprenticeship in Civil Engineering, and 2019 will see the first cohort of students for the Social Work Degree which is run in association with University of Sussex. MasonBreese is a leading professional change management consultancy firm, born and based in Jersey. It employs over 50 people, many of which are talented young graduates. 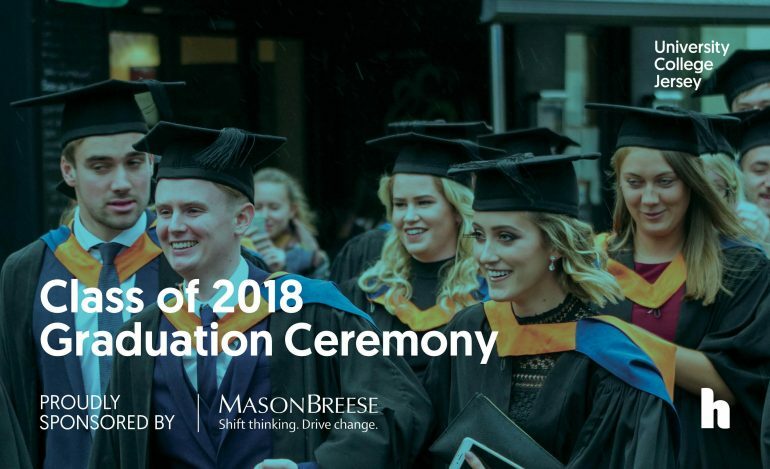 MasonBreese provides graduates with the opportunity to stay in the island and join one of their academies, which enable the individual to study whilst undertaking work-based learning. From Junior Business Analysts to Senior Project and Programme Managers, MasonBreese offers the potential to learn, enjoy and develop.